In 2016, Simon Di Principe released the book Grass Roots: a collection of photographic portraits from east London's spiritual home of Sunday league football, Hackney Marshes. 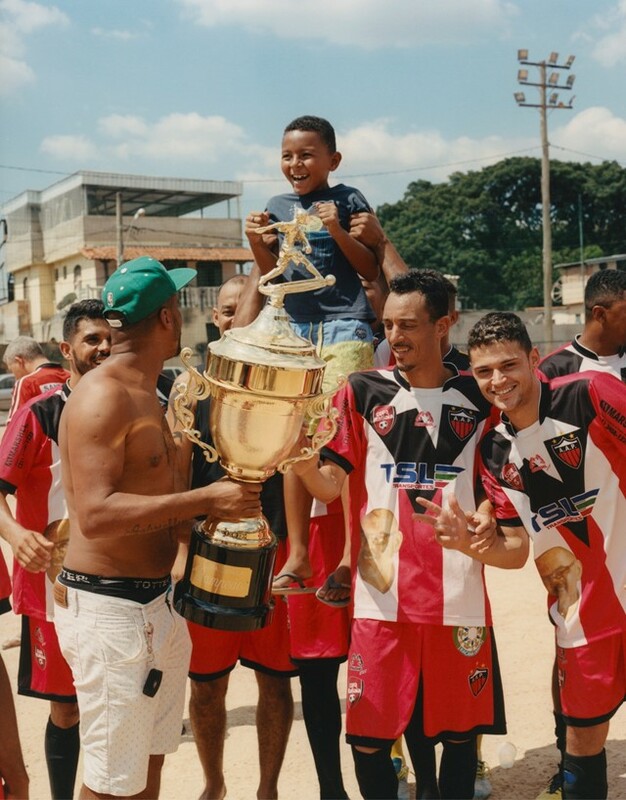 Later that year, the photographer began shooting urban football communities in Brazil for his upcoming book, Várzea. As in Grass Roots, the backdrops for these photos are goalposts, dugouts, the tribal colours and untamed fields of amateur football – so you'd be forgiven for thinking that the photographer's main muse is the sport known as “the beautiful game”. However, as Di Principe explains in an interview with Dazed: “I don't really like to think of (Grass Roots and Várzea) as football books – that would be doing them an injustice. They are about people, communities – a social documentary and a historical story.” This is evident throughout Várzea, a book in which footballers are rarely shown in action, but their collective joy off the field, shared with supporters of all ages, is a recurring theme. “In many Brazilian cities”, Di Principe's book informs us, “the term ‘Várzea’ is used to describe anything made precariously, something which is improvised, disorganised.” Consequently, it is also the adopted name of a uniquely spontaneous brand of football, an amateur scene that began in the country's rural floodplains in the late 1800s, but today endures in a number of cities throughout Brazil. 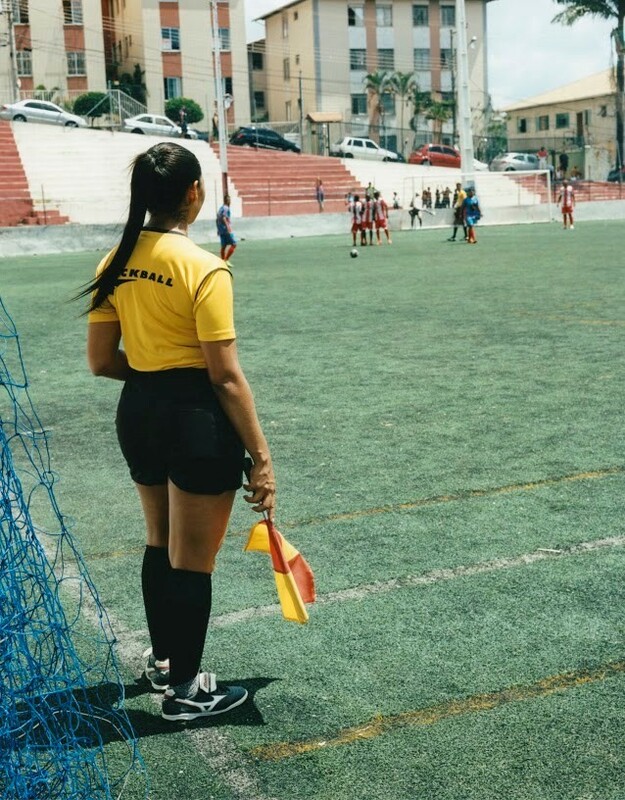 Futebol de Várzea is a DIY subculture of independent tournaments, leagues and festive matches – it is a proudly disorganised alternative to the sanitised practices of professional stadium football. As a culture on the fringes of the established order, Várzea football has historically served as a productive space for diversity and inclusion. It is on the Várzea fields, for instance, that many women played football while the practice, staggeringly, remained banned in Brazil between 1941 and 1979. Autônomos began in 2006 with people who came from the punk and anarchy scenes in Santo André, a metropolitan area of São Paulo. In 2009 they even played against Bristol's Easton Cowboys and Cowgirls, a similarly anarchic football team that once had Banksy as its goalkeeper. The fact that these two teams found each other from opposite sides of the Atlantic is a testament to the community values of amateur football, a world away perhaps from the histrionics and dubious politics of this year's FIFA World Cup.